An implausible talent, Adjetey Anang, steadily meanders his way through to the top and currently remains one of the most adorable and relevant Ghanaian screen icons of our time. He is a flawless actor and radiates a personality of desirable reputation. 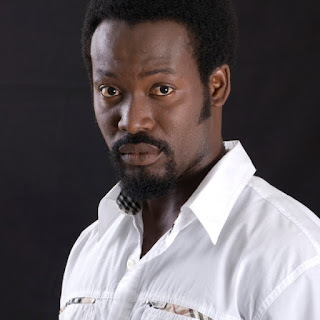 Adjetey Anang became a household name late 1999 and early 2000, when he played the character ‘Pusher’ in the rested TV series, Things We Do For Love, on GTV. Those days every youth in the country was fond of Pusher and mimicked his talent and the role he was playing in the series. In this interview with NEWS-ONE’s Francis Addo, Adjetey spoke about what awards mean to him, his new movie Cartel, his career as a lecturer, his upcoming project in Nigeria and Ghana, as well as a recent accident that occurred on set. Congratulations on your numerous awards this year. Not that much. I think for the past three years, it’s Ghana Movie Awards, Golden Movie Awards, GIAMA and of course the one that I missed was the AMVCAs 2014. But yeah these are the very recent ones. It must be a good feeling? It’s never like, ‘ooh I have done it again’. It’s like wow. I am always excited but it puts me under more pressure to really work harder because I’d want to keep on improving on my talent; not specifically because I am looking forward to an award, but just to give back to say that you rewarded me and I am going to give you something more. So basically that is it for me. Excited but on the flipside, it’s more hard work to be done. What do awards mean to Adjetey? For me it just tells me that my work is being recognised and must have hit a certain mark of appreciation and therefore people want to say well done. But then for me, as I said earlier on, it means that ok we going to expect more from you the next time because we want to see something else. It means I have to move the gears to another level. Well, it is satisfactory that the hard work has paid off. In another breadth, it also requires hard work for the next level. For me this is what awards mean to me. So what’s up with Adjetey now? I am currently reading a script that I am supposed to dash out to Nigeria and shoot. But the bigger project ahead of me is trying to co-produce something. For me, it is really on my heart because the subject of this project is targeting something that is etching on many hearts in Africa and globally. It is about how human life is precious, how you deprive people of basic amenities and basic freedom, and how far they will go just to survive. This is just to give you a gist of it but subsequently we will talk at length about everything, including where it’s going to be done and all that. It’s a project I am looking forward to and it is just at the beginning stages. We are putting things together. It sounds like a child trafficking story? There will be a bit of it in there but it’s not the major theme. Is that your first time going to work in Nigeria? Technically it’s my first time to work in Nigeria. Aside that, I have worked with Nigerian directors and artistes, but here in Ghana. Going in there to work fully is my first. On three occasions, I had the opportunity to go and work there but I was in school. 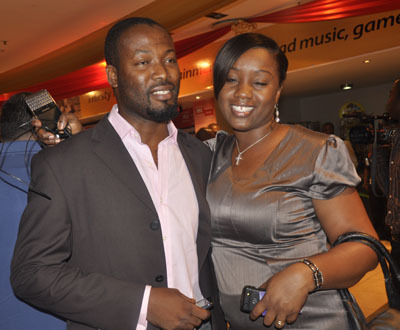 Desmond Elliot tried me; and so did Tchidi during school days. So who are you going to work with? I am working with a director called Willie (William). He is also the director that Nadia and I did the movie, Rain by Silverline Productions with. You have an idea which actors will be on set? I am crossing borders and I am going to go all out and give my very best. At this stage, I am going through character analysis and so on. Yeah I will give my best. Nigeria is a huge industry, and for them to want to work with me means a lot to me. You recently shot the movie, Cartel. Tell me about it? I think it’s my second action film; no, it’s third actually. It’s basically treating the subject of drug trafficking. It looks at how that industry operates, all the secrecy in it, how the distribution is done, who the contact guy is and of course, how it disturbs the country. The story focuses on my character, who is a trained law enforcement personnel who goes through periodic training in USA and comes back to help curb drug trafficking. What efforts did you put into playing the character? What did you do after receiving the script? That’s the difficult part. I mean,it is easy for us as actors to ignore that part but it adds to characterisation. My role deserves some flare in combating and martial art. We had a professional stunt director who took us through for about one or two months before we shot the movie. It took a toll on me because our bodies in this part of the world are not used to action genre. Then again, I got in touch with some mates of mine who are in the force. One of them is a detective and I went to his office to observe how they go about their work. It will amaze you that when you walk into a hospital, the mannerism of a doctor is a sharp contrast to a detective. These were some of the few things I did for the character. What is different about that role? What is different for me is that this issue is very sensitive because the story is based on real life events that happen and real characters that have some history in drug trafficking. The story is based on real events if you in your position, you will be smart enough to know that they are talking about this guy but, of course, in an artistic way with its own storyline. When I read it, it really hit me that people are not just going to walk away that they enjoyed a movie but also go back and really think of drugs and their impact on the youth especially. That was really a key thing for me. I hear there was an accident on set. Oh yeah. In the course of the training, we had to suspend it because I injured my back. So I had to go to the hospital. I did MRI and all that. This is just to tell our actors that start daily exercising and jogging before an action movie so that your body will be in shape for that. I have learnt my lesson. Is the industry ready for action movies? Well I think that actors, to a large extent, are probably almost ready but then technically, do we have the means? Do we have the skill in shooting action movies? So I think that that’s a long shot. There are certain softwares that are not available to us. There is a certain skill that comes with it and that’s why Ghanaian producers would avoid action movies because they are time-consuming and costly. So I will rather do a love story which is easier to do. But I think we still have a long way to go if we want to go into action movies. We need the skill and that’s what we don’t have. There are talented guys out there who are trying their hands on it and it is commendable but you still see and you want to compare with a Rambo 3 or Rambo 2 because we still lack certain key elements. Do you share the opinion that there is a large market for action movies in Africa? Yes…That’s why lots of people watch American movies. That’s the irony. That’s why Cartel and another movie will change the view or the tone of African action movies to just tell people that these people are doing something nice to compare to the western world. I heard you are a lecturer now. Is it true? (Laughs) It is true. I am doing part time lecturing at NAFTI on acting. It’s a new area in their curriculum. It was introduced last year and I was called by the rector of the school to take that up. Yeah I am doing that part time for now. I have done it for about a year now. Devil In The Detail won you an award. How did you end up playing that role? When I have such scripts from Shirley, we know we are going to negotiate. So what you saw in there was an edited version. But of course I am also not trying to be too rigid so it affects the aesthetics of the movie. It has to be balanced.